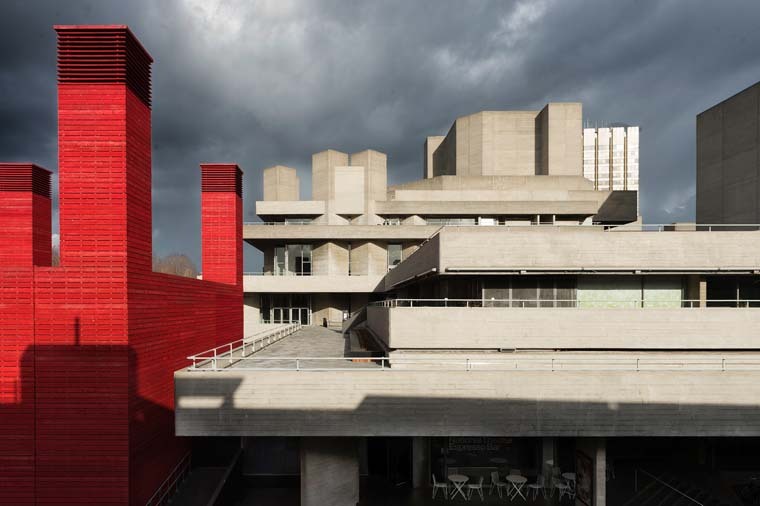 View of the National Theatre (Denys Lasdun, architect) and the Shed (Hawthorn Thompkins, architect), 2015, London. Photo: Bill Knight. The oral history audio recordings which National Life Stories (NLS) initiates with this funding are linked by their focus on the interactions of tutors and students in relation to the Architectural Association, an incubator of international networks and constructive dialogue between theory and practice. Architects’ Lives started in 1995 and is an ongoing oral history project run by National Life Stories at the British Library. Using life story oral history methodology, NLS recordings are characterized by their breadth, depth, and detail. The recordings form a comprehensive account of each speaker and their career, including the journey taken into the profession and wider autobiographical material. Robert Perks is lead curator oral history, and director of National Life Stories at the British Library. He oversees Architects’ Lives. He is secretary of the Oral History Society, series editor of the Oxford University Press Oral History Series; an advisor to the Heritage Lottery Fund (HLF), the Centre for Life Research at the University of Sussex and the Canadian Oral History Centre, Winnipeg. In 2007 he was awarded an honorary DLitt by the University of Huddersfield in recognition for his work in the field of oral history. Amongst his publications are The Oral History Reader, Routledge, with Al Thomson (third edition, 2015), Oral History, Health and Welfare with Paul Thompson and Jan Walmsley (Routledge 2000), and Oral History: Good Practice Guidance, Heritage Lottery Fund, 2014. Cathy Courtney is project director for Architects’ Lives. A writer and oral historian, she has been working with NLS since 1988 and is also project director for its sister project, Artists’ Lives. She cocurated Artists’ Lives: Speaking of the Kasmin Gallery for Tate Britain (November 2016–April 2018), an exhibition led by the oral history recordings. Publications include City Lives (with Paul Thompson), Methuen 1996 (a book developed from the NLS oral history project of the same name), Connecting Lines: Artists Talk About Drawing, a double CD derived from NLS’ Artists’ Lives project, and issue no. 69 of the Henry Moore Institute Essays on Sculpture journal devoted to Artists’ Lives. Niamh Dillon has been lead interviewer for Architects’ Lives since 2009. Among her recordings are figures such as Lord Foster, Sir Nicholas Grimshaw, Sir Michael Hopkins, and Sir Terry Farrell, as well as significant pioneers in architecture and construction who are less well-known. Dillon has taught the use of oral history in creative practice, including workshops at the Royal College of Art, the Architectural Association, The Sir John Cass School of Art, Architecture and Design, and at Leiden University in Holland. She has represented NLS at national and international conferences, and published in the Oral History Journal. National Life Stories (NLS) was established in 1987. Its mission is to record first-hand experiences of as wide a cross-section of society as possible, to preserve the recordings, to make them publicly available and encourage their use. National Life Stories’ recordings form a unique and invaluable record of people’s lives in Britain today. As an independent charitable trust within the British Library, National Life Stories’ key focus and expertise has been oral history fieldwork. Over the past three decades it has initiated a series of innovative interviewing projects funded almost entirely from sponsorship, charitable and individual donations. Each collection is archived at the British Library and comprises recorded in-depth interviews of a high standard, plus content summaries and transcripts to assist users. Each individual life story interview is several hours long, covering family background, childhood, education, work, leisure, and later life.